For availability please book directly with us between 1st November 2017 until 31st March 2018. We have limited availability on all partner sites The Glen Boutique Hotel & Spa is the perfect destination for travellers who are looking to unwind, relax and explore the very best Cape Town has to offer. Our team are dedicated to making your stay as memorable as possible filled with wonderful experiences and treasured moments you’ll cherish for years to come. The Glen is chic, tastefully styled, and will embrace you in its warmth. The hotel has 24 individually furnished rooms, ranging from Standard, Deluxe and Suites, through to the crème de la crème of our stunning Penthouse - with direct lift access. The hotel itself is rich in décor and modern artwork, and most rooms come with their own balcony or private terrace. The Glen also offer 3 other properties, G on Barkly, G on Herbert and G on Rochester with their own unique self contained facilities. these properties are perfect for families and groups looking for a high standard of living and accommodation - please enquire directly with us for more details. Our G Spa is inspired to bring you complete wellness and honours the African principle of natural beauty. All treatments are designed to take you on a journey of rejuvenation with our trained massage therapists, who are there to help you to discover a whole new level of relaxation. Our sun terrace and cascading pools are the ideal spot for you to relax and enjoy the warmth of South Africa. Our outdoor Jacuzzi is ideal for evening sunset, and our spa includes a sauna, steam room and hot tub for your enjoyment, open from 6pm to 11pm. The G Kitchen hosts breakfast, lunch and dinner, serving a combination of Mediterranean and South African cuisine. Braai’s are held weekly during summer (Sept to April), where guests can enjoy traditional food and relax by the pool with one of our legendary cocktails. Our G Car Hire service has a fleet of luxury vehicles; from city runarounds to top end convertibles. For those who prefer to be driven around, we have experienced chauffeurs to take you anywhere in the City. Cape Town is known for its beautiful people, breathtaking scenery and rich history. To make sure you don’t miss any of these, we offer bespoke Tours and Activities, for both half days and full day experiences. As a non-discriminatory hotel we warmly welcome both straight and gay guests from all over the world. In addition to free WiFi and satellite TV, all guests can enjoy continental or full English breakfasts on the terrace overlooking the pool or at the restaurant, and the a la carte menu provides for round-the-clock informal dining. The Hotel is located in Sea Point, Cape Town and is only 12 miles from Cape Town International Airport with on-site parking as well as a luxury airport transfer service. Have travelled the world - This is the BEST!! One of the best hotels I've stayed in!! Is the pool open in July and is it warm enough to enjoy then? We are currently not affected by the water crisis but are doing everything we can to conserve water in the hotel. The water is due to be affected in May, but this is not certain. 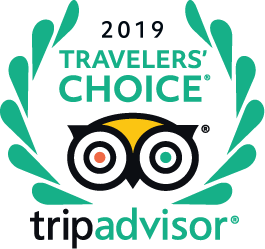 We will keep our guests updated on our Facebook page as well as on Trip Advisor. Do the rooms have balconies or outside access? Most of them have balconies. I am not sure if every single room has one. But the pool area is really beautiful and you can also relax there. Do all of the cars for hire at this hotel have the logo on the side? The hotel looks amazing but I am planning to come with my husband and two older teenage girls. Do you ever have families with older kids? "We had room 15 but every room is special at this boutique hotel"
"Hotel parking is a little tight but there is plenty of parking available outside in the quiet street." "Ask nicely, and anything is possible." "room 7 worked especially well for me." "the rooms near the pool are great as you simply walk straight into the gorgeous glass pool"